Tonight... Mostly clear, with a low around 63. South wind 5 to 10 mph. Thursday... Mostly sunny, with a high near 89. 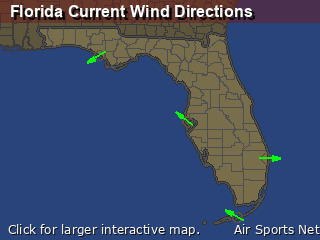 Light south southeast wind becoming south 5 to 10 mph in the morning. Thursday Night... Mostly cloudy, with a low around 68. South southwest wind around 5 mph. Friday... A chance of showers, with thunderstorms also possible after noon. Mostly cloudy, with a high near 85. South wind 10 to 15 mph, with gusts as high as 20 mph. Chance of precipitation is 50%. Friday Night... Partly cloudy, with a low around 65. West wind 5 to 15 mph. Saturday... Sunny, with a high near 83. East northeast wind around 5 mph. Saturday Night... Mostly clear, with a low around 65. East wind around 5 mph. Sunday... A 20 percent chance of showers. Mostly sunny, with a high near 88. East southeast wind around 5 mph becoming calm. Sunday Night... 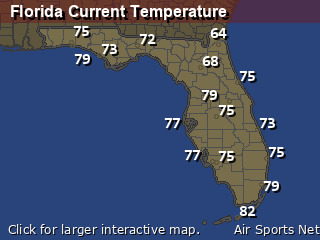 Partly cloudy, with a low around 66. East southeast wind around 5 mph becoming calm.